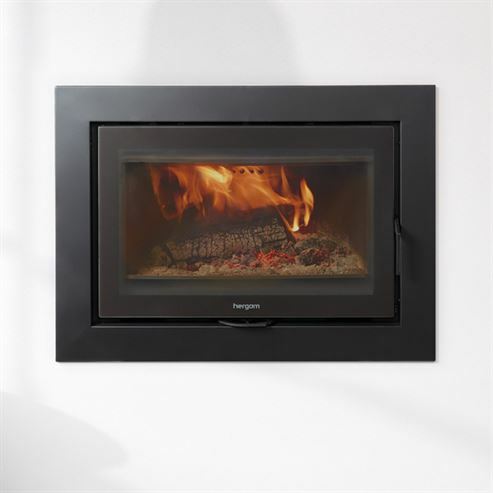 With a glass opening of 800mm this stove has an impressive fire view. The air control is one single lever which means you can control combustion exactly and with the airwash system your glass is kept clean. The options are endless with this mode, there are 3 frame types for this model, 4 sided, 3 sided and frameless, as well as the choice of fans or natural convection and cast iron or vermiculite internals.